Erica Barton is a 33-year-old mother of three, a freelance writer, and a natural hair enthusiast. As a young woman, Erica has had long, straight, pretty hair for as long as she can remember. This, she achieved through flat irons, pressing combs, and other methods that she later realized were only damaging her hair. She had to make a drastic decision – letting go of the heat. Erica did her BiG Chop in the year 2015 and has been enjoying her healthier, thicker, natural, and unadulterated hair for three years now. Erica enjoys the versatility of natural hair, and the fact that she can wear different looks on a daily basis makes her free to enjoy life and celebrate both her inner and outer beauty. She, however, warns that going natural is not a walk in the park. There are days you will feel frustrated and even wish to give up. 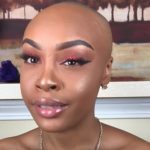 That’s why she has taken it upon herself to help people who wish to go down this road by sharing her personal journey, challenges, and offering tips where necessary. According to Erica, every woman has a right to wear their hair on their own terms and not as dictated by society. Black women rocking natural hair are frowned upon in many spheres of the society. Natural hair doesn’t fit into the conventional standards of beauty or professionalism. That’s why a lot of women of color face discrimination for wearing natural hair in the workplace. If your hair doesn’t tuck easily behind your ears or doesn’t blow in the wind, it’s not acceptable. But Amanda Parris, the host of Exhibitionists, isn’t having any of it. She only wears her hair natural. And it seems like women of color around the world have something to learn about wearing natural hair with pride, regardless of the consequences. How many black students have been kicked out of the classroom because their natural hair is ‘unprofessional’? A lot, and you know what the saddest part is? Some of the principals and teachers kicking black female students out of class for wearing natural hair are themselves black. Its infuriating, disappointing, and hurting at the same time. That’s what drives exhibitionists host Amanda Parris; its why she has always worn natural hair. But she didn’t appreciate the beauty of natural hair on a black woman until she went to college. Just like any other black girl growing up in Canada, Amanda Parris had learned to internalize the conventional standards of beauty. It took years for her to unlearn all this negative culture that she’d consumed growing up. Today, Amanda Parris is always rocking natural hair, and she loves it. She started challenging her straight hair obsessions after she read Malcolm X’s autography. 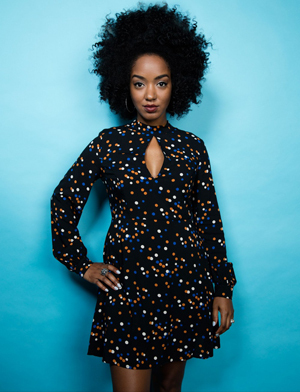 When Namugenyi Kiwanuka, the former Much Music VJ, came into the scene, Amanda Parris had the opportunity to see a black woman wearing natural hair on Canadian television, for the first time. This, along with American acts such as music show 106&Park co-host Free Marie of BET and Lauryn Hill with her afro and later dreadlocks encouraged her to embrace the authentic markers of identity and step in front of the camera with natural hair. There are challenges, but Amanda Parris and other black women in the Canadian entertainment industry have learned to overcome them. It’s their belief that every woman should be able to wear any hairstyle that makes her feel good, natural or otherwise.